Head over to the fit guide page to learn more about our Toezone easy fit concept! Our natural rubber outsoles can endure all the days activities and more! To minimise toe scuffing and keeps your shoes good as new! 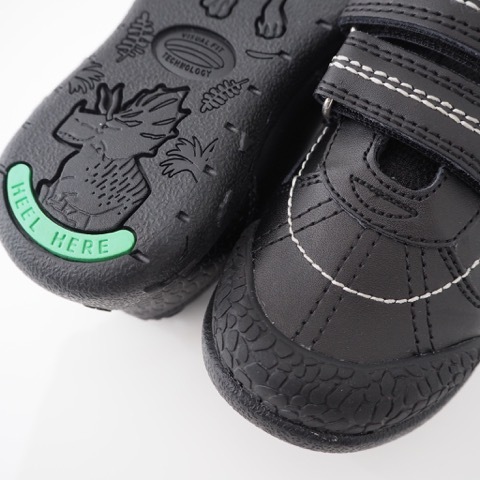 As easy as it is to release, our velcro will remain secure all day long! Shiny shoes with scuff resistance to keep you shining all day long!